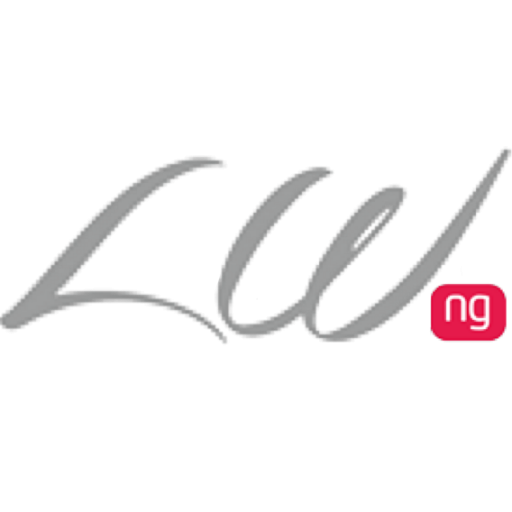 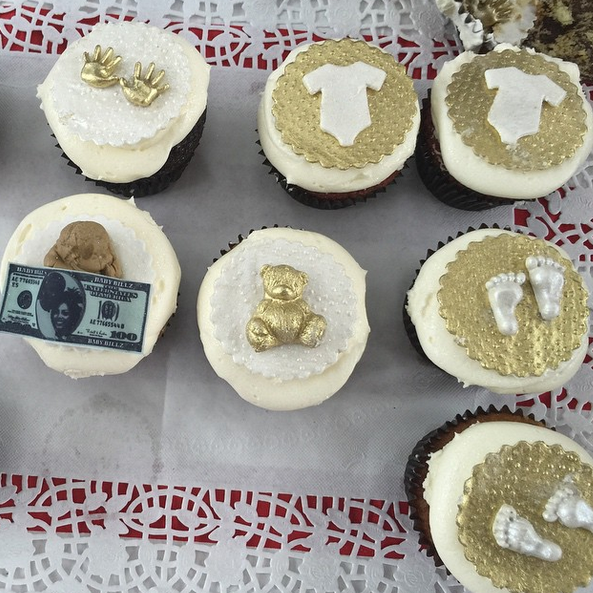 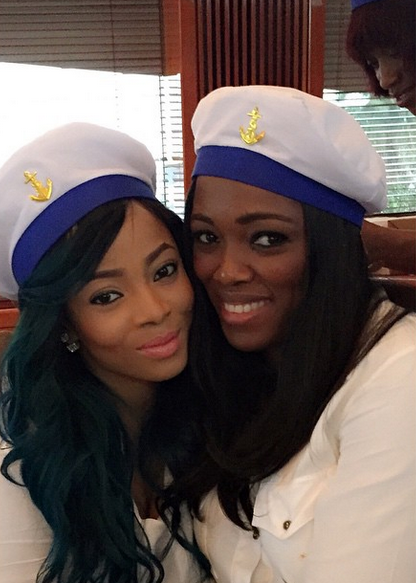 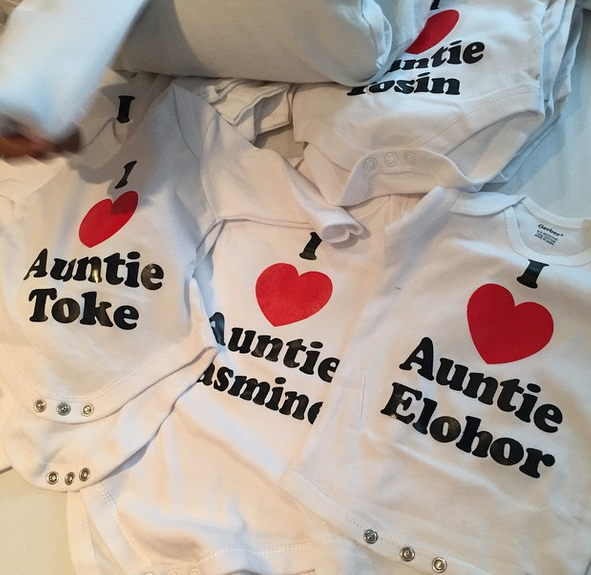 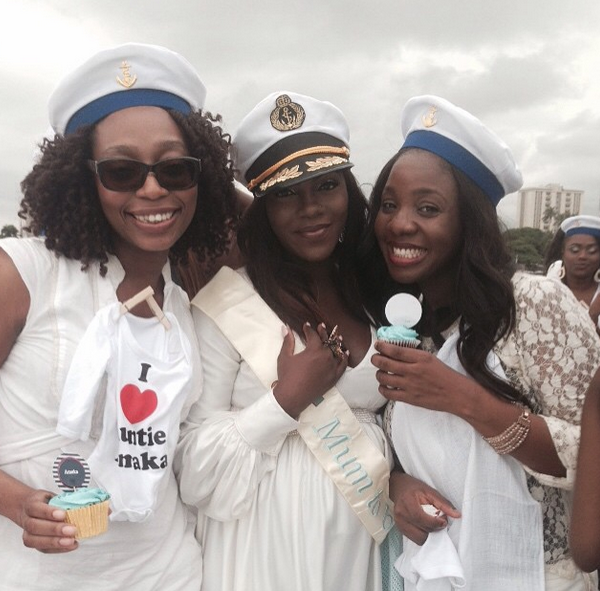 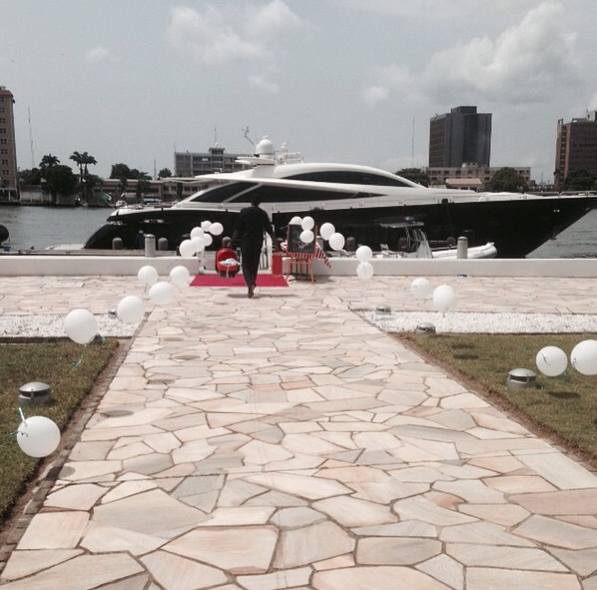 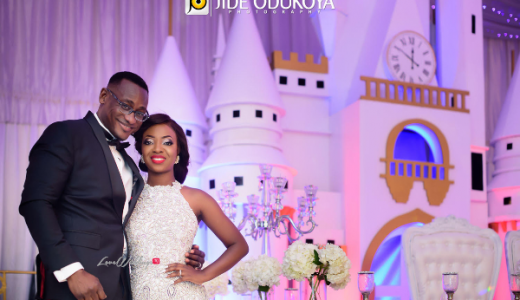 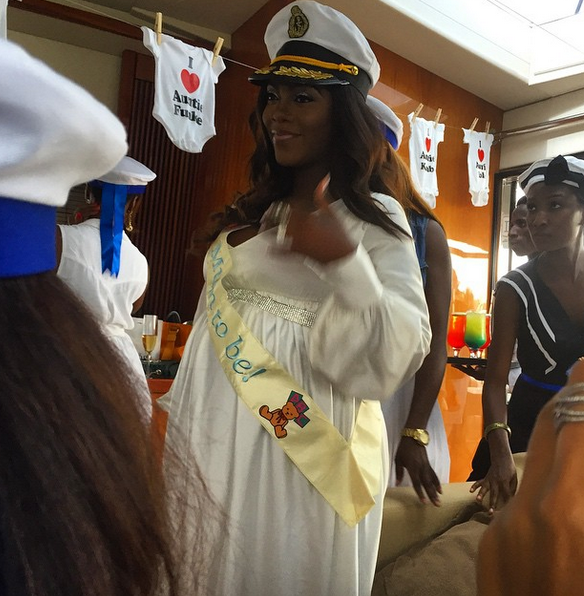 We’re sure by now you’ve all seen pictures from Tiwa Savage’s baby shower, which held yesterday (Sunday May 17, 2015). 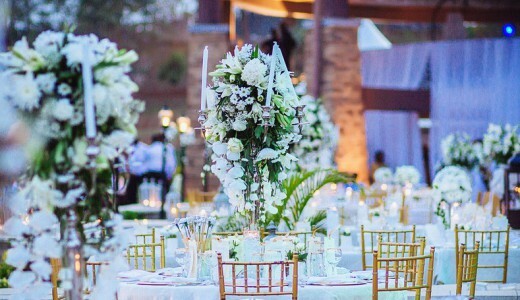 We know yeah, this is a wedding website but we couldn’t help but get inspired by the theme, which we think this would work well for a bridal shower. 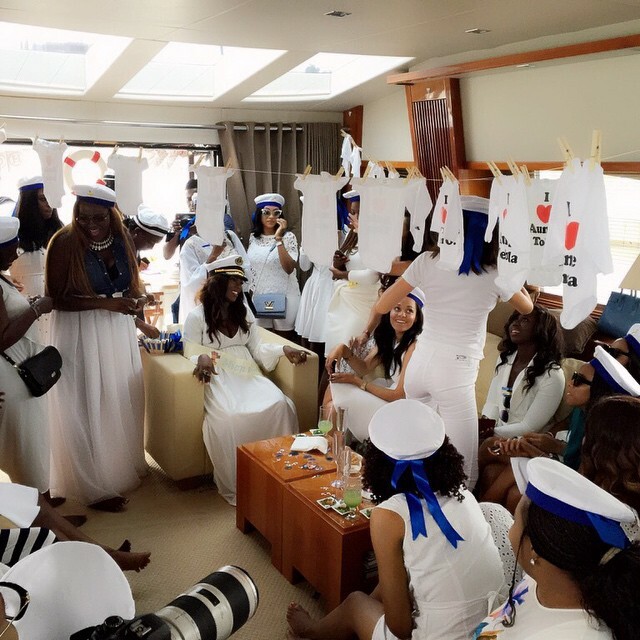 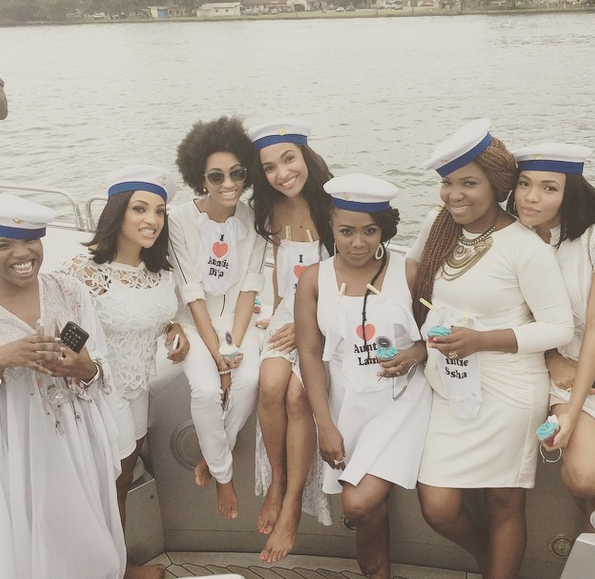 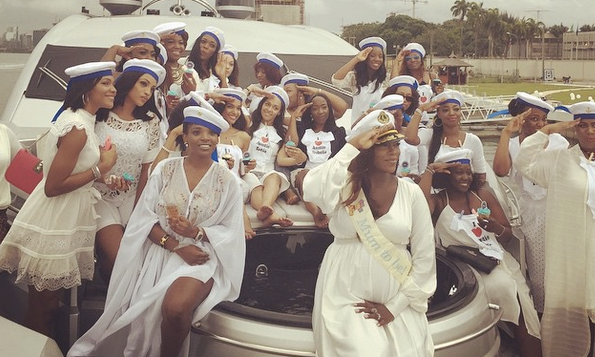 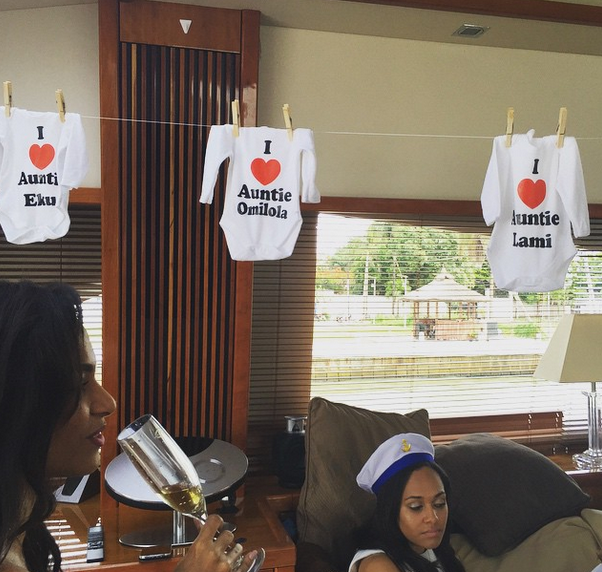 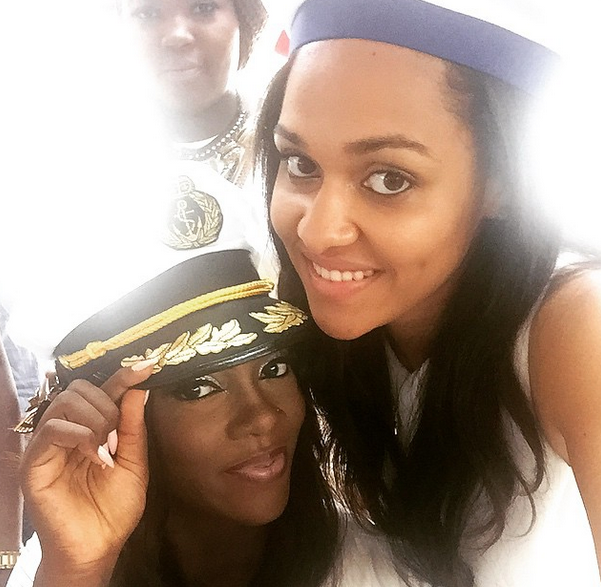 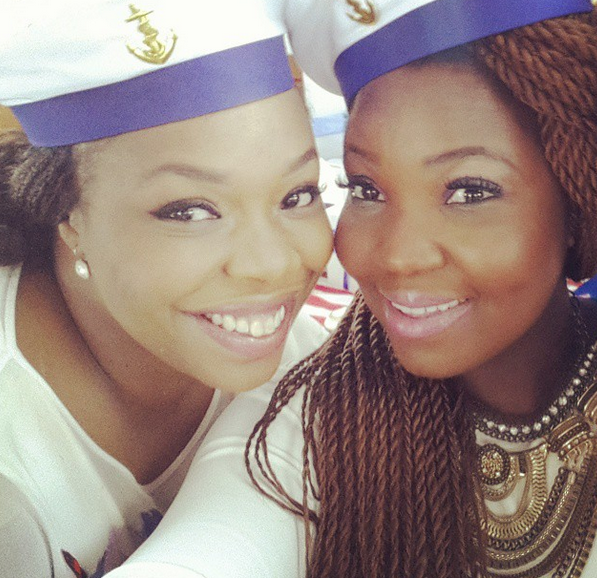 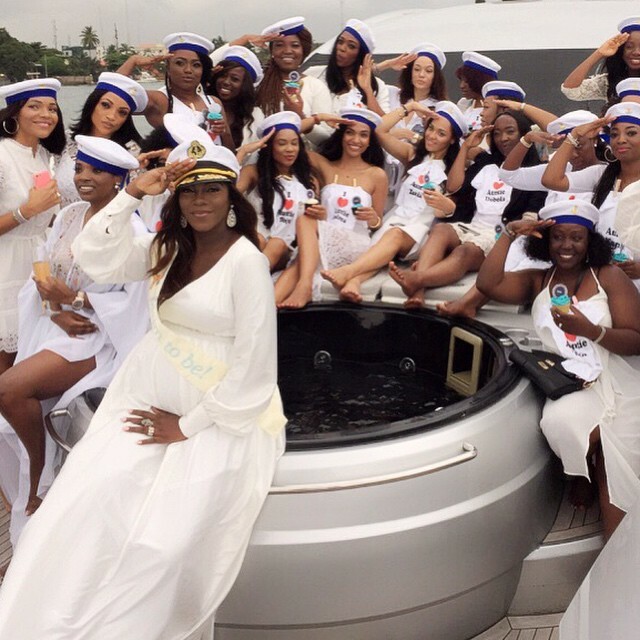 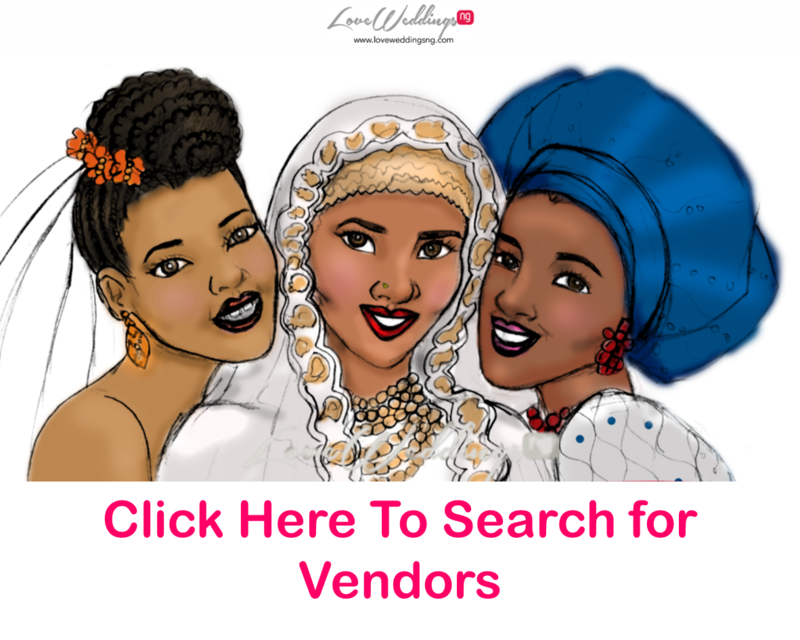 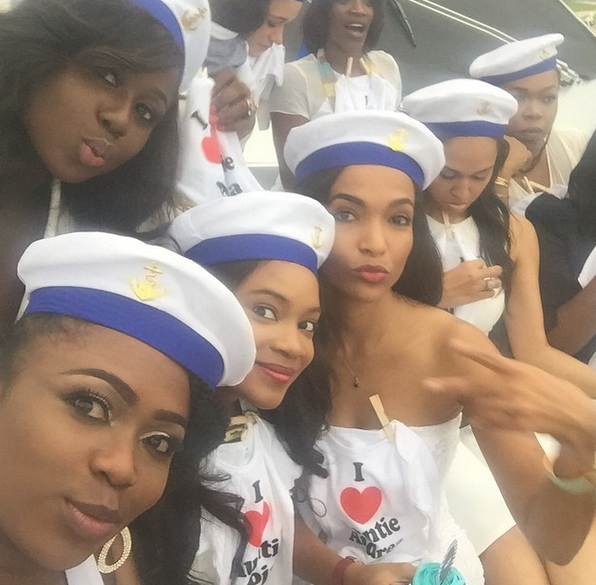 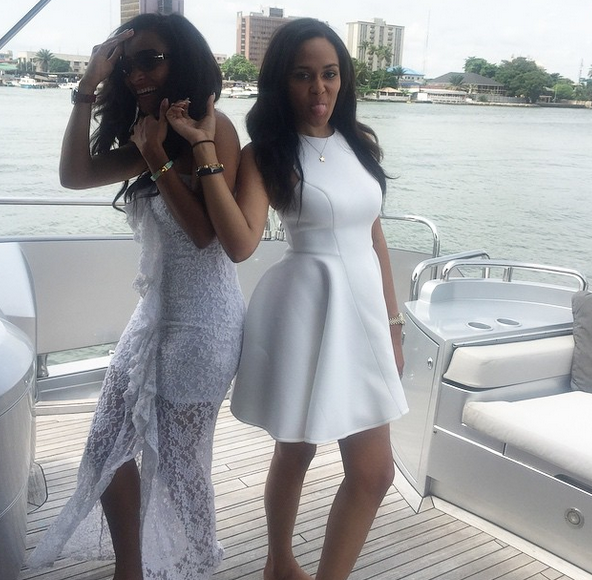 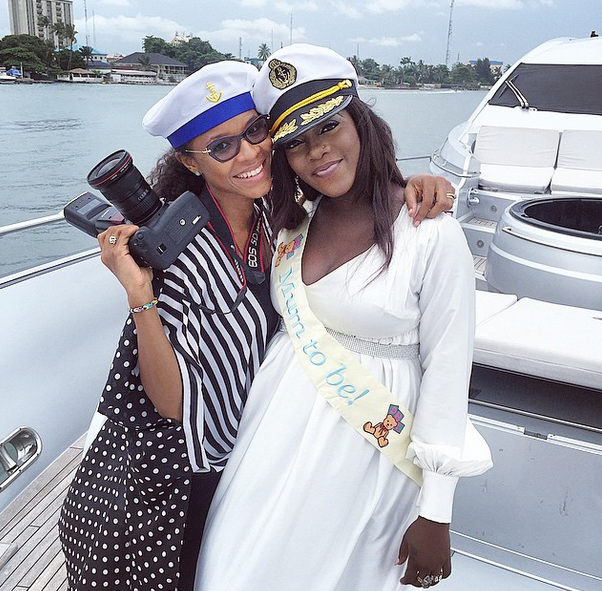 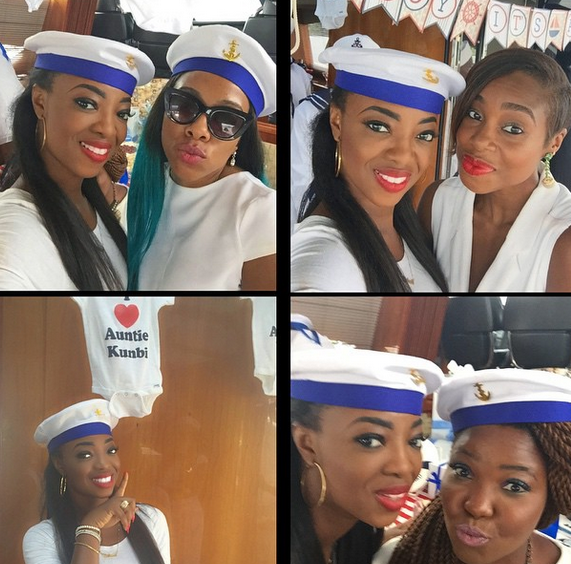 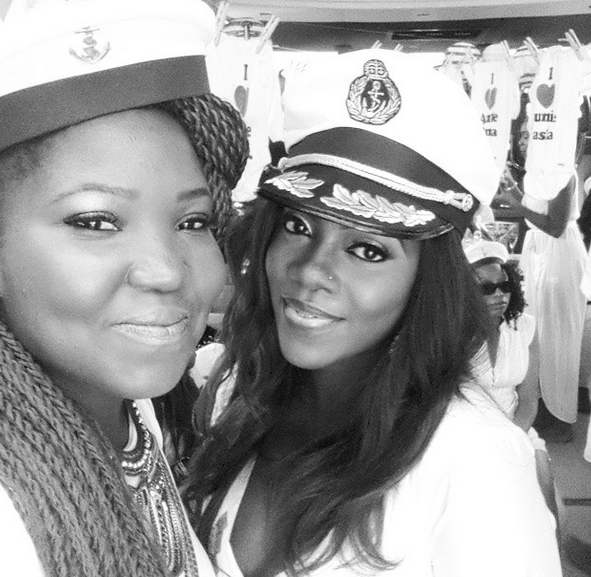 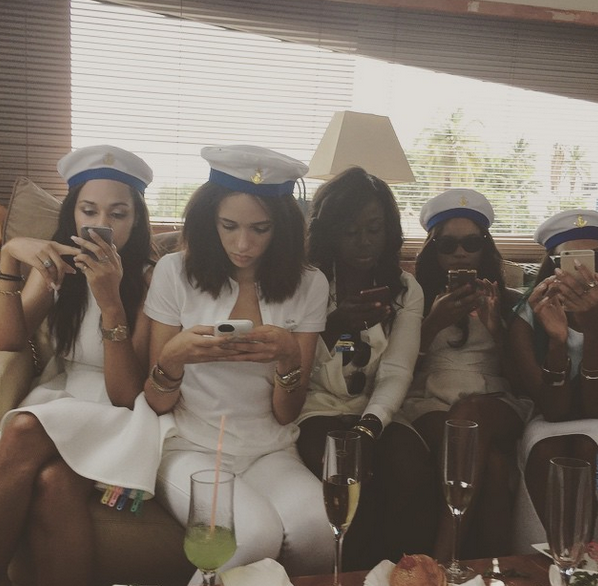 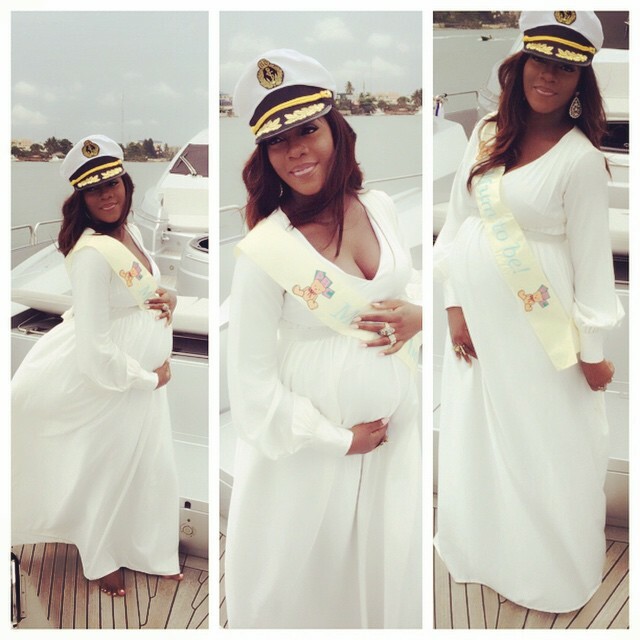 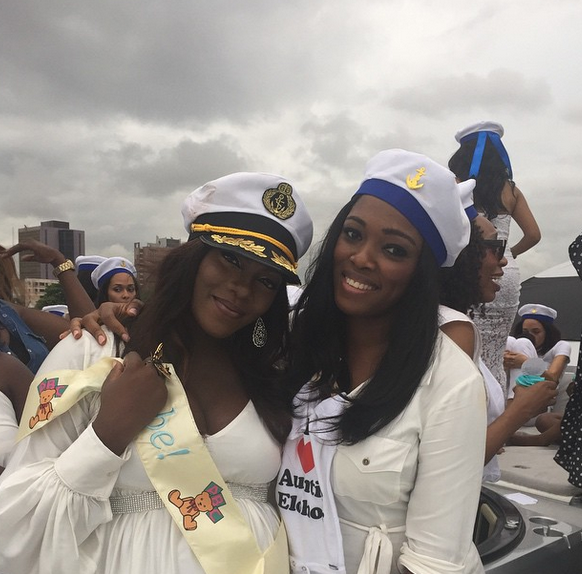 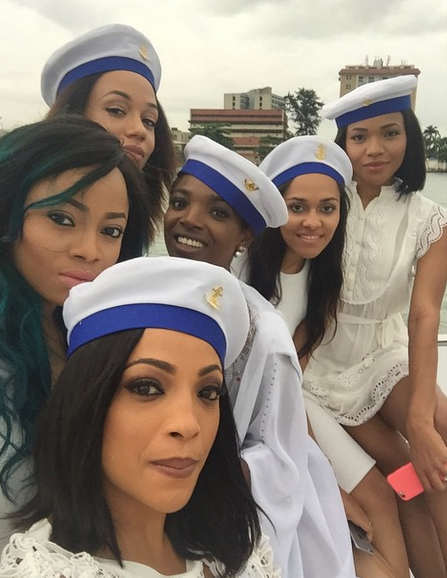 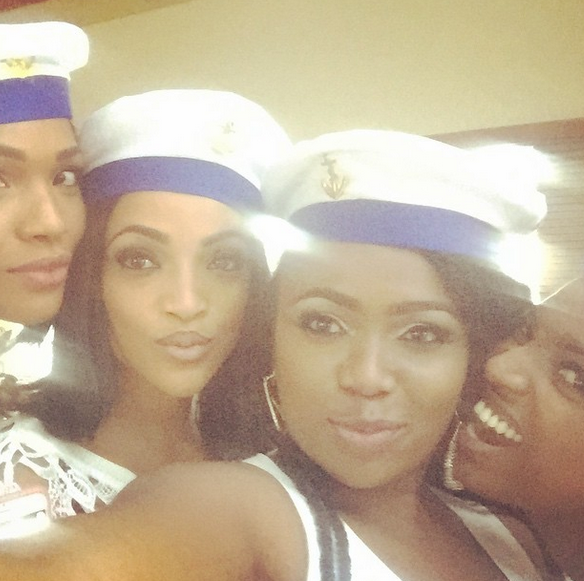 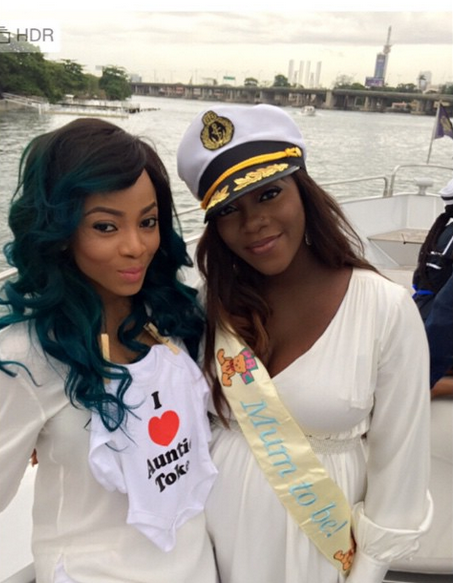 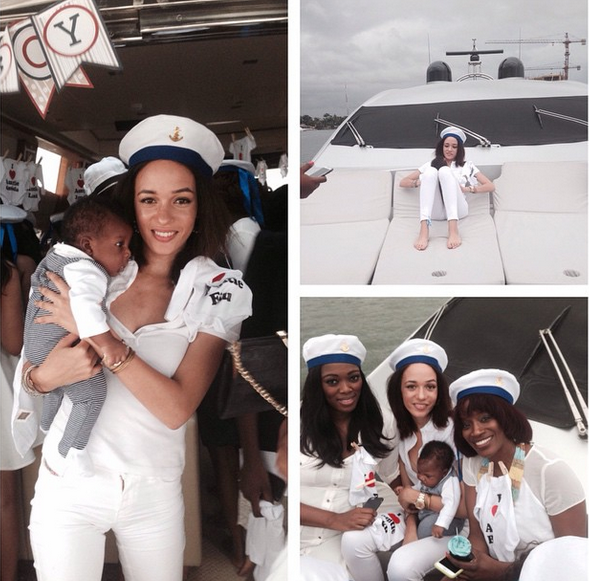 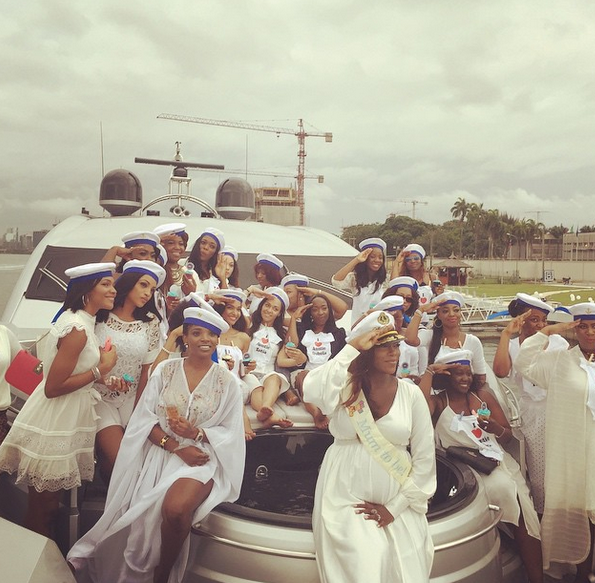 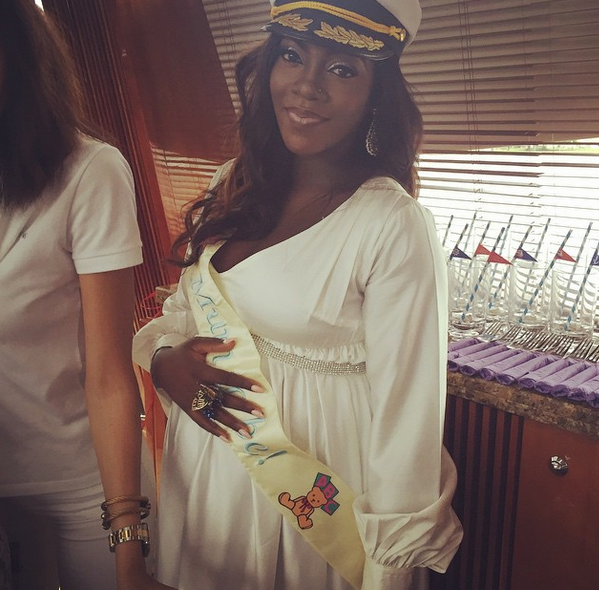 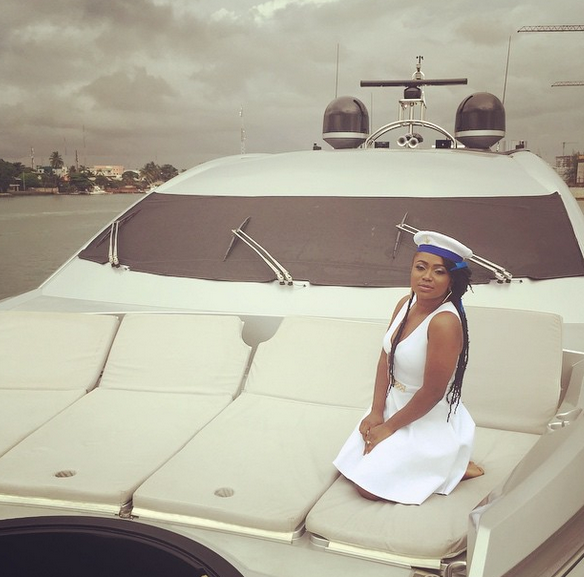 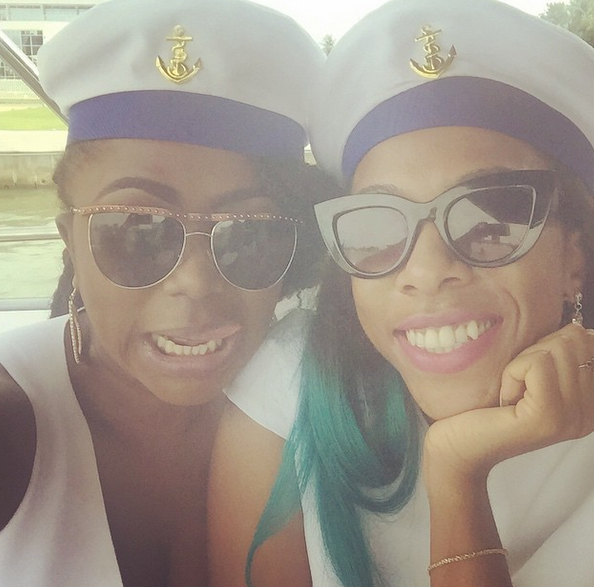 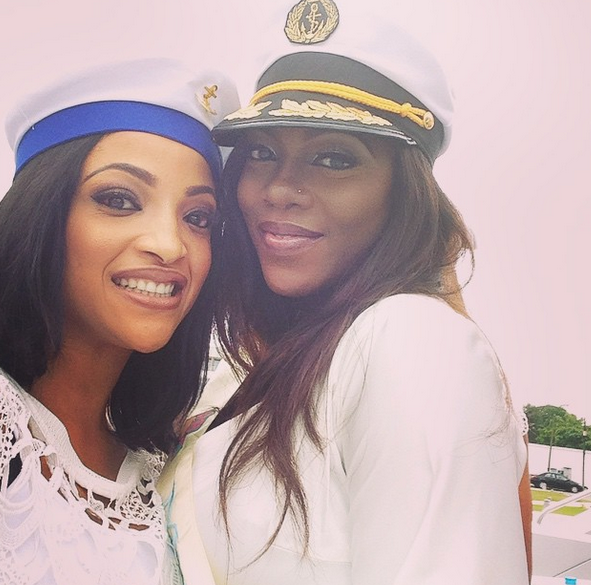 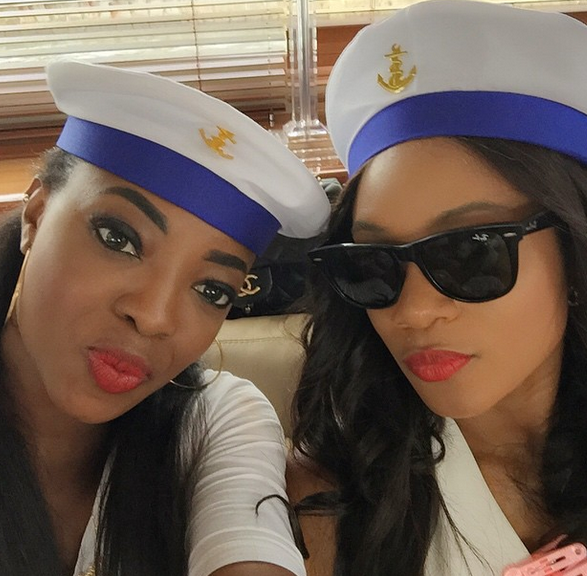 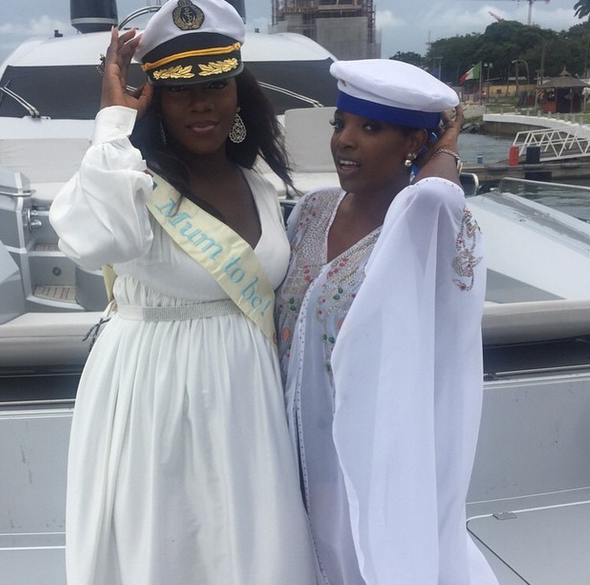 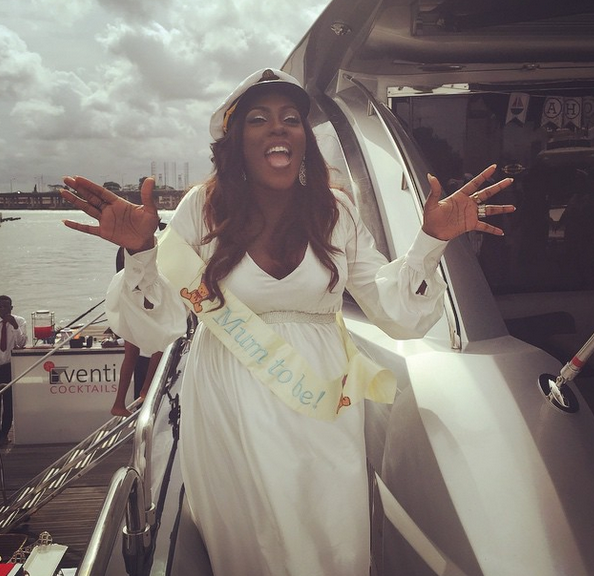 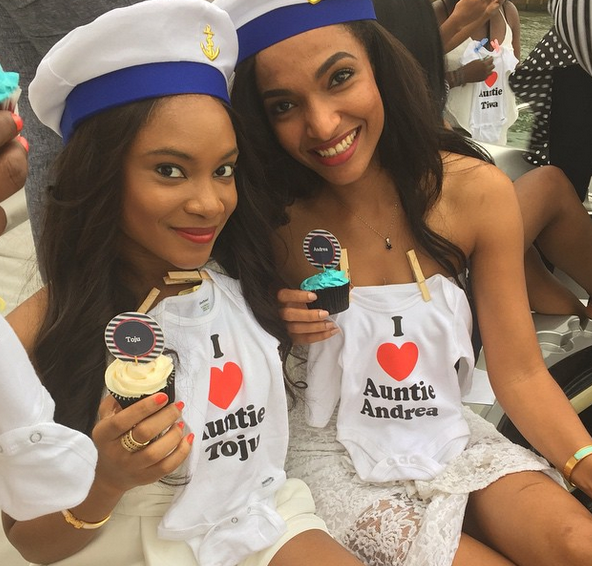 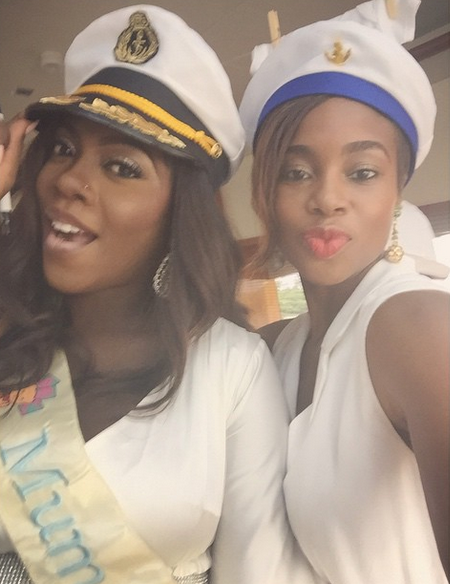 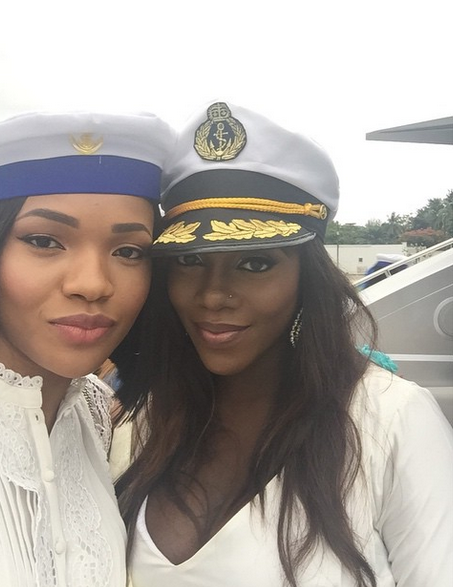 The baby shower held on Femi Otedola‘s yacht in Lagos and Tiwa looked chic in a white dress by Toju Foyeh and a sailor hat. 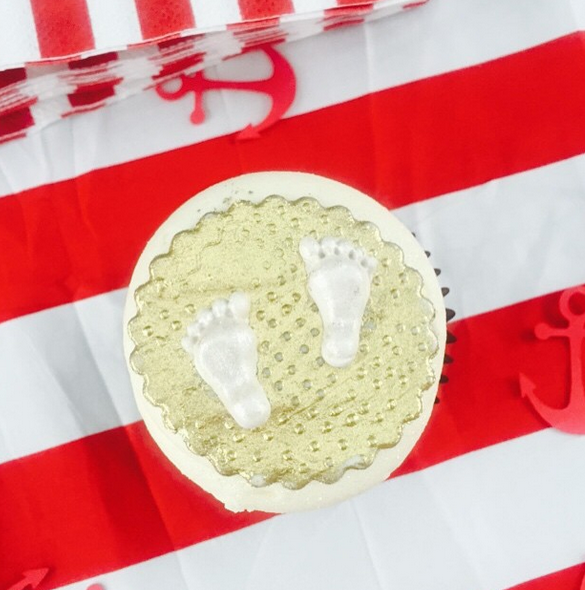 The shower was meant to be a surprise but the celebrity mum to be found out.